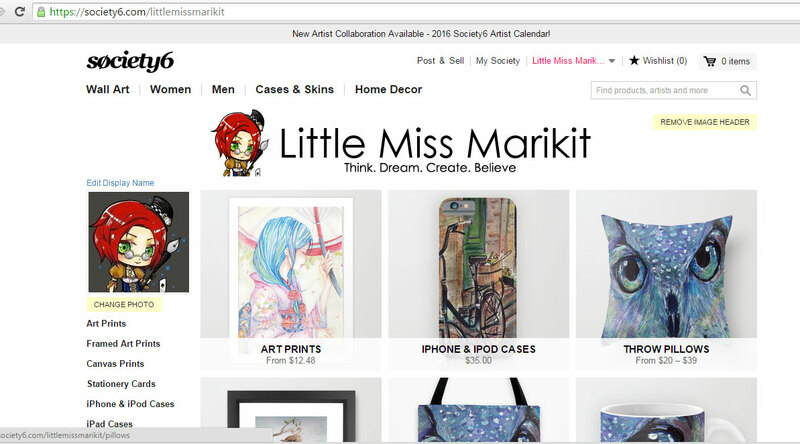 I am excited to announce that I finally have my Society6 shop with art. For those of you not familiar with Society6, it is a website which gives the artists the opportunity to upload art and immediately offer artwork for sale as art prints, home decor, clothes etc etc. Society6 produces these products- on demand and ships them world wide! Yep, WORLDWIDE. I have started sellling just recently and I am hoping for your support! Thanks so much!